Home Tamil Is really Mersal need to re-censor by accepting the threat of BJP followers..? Is really Mersal need to re-censor by accepting the threat of BJP followers..? Mersal's Producers Say Ready To Make Cuts After Row Over GST References, this short decision is purely because of the threat that is going to become worst and personal for the actors and crew members. Some of the BJP leaders now came into lime-light by referring the religion of Super Star Vijay. Obviously we don’t have any surprise from the leader of that specific party which believes the country is only for some specific religion followers. By the way apart from all here what we discussing about the points that taking over the movie by BJP. GST - The dialogue about GST is - “ Singapore have only 7% GST there citizens gets FREE medical services. But Indian’s pay 12-28% GST and what we getting...simply Nothing. 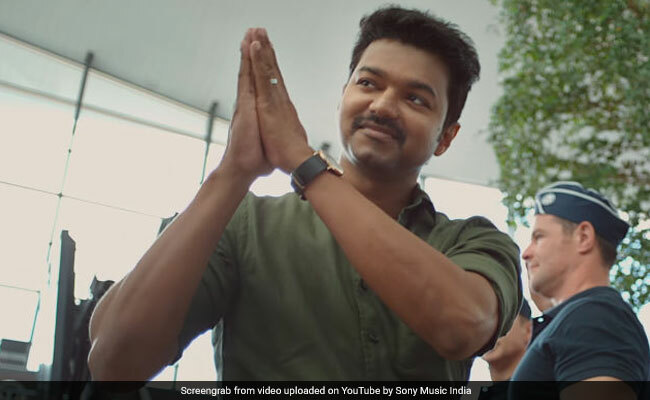 Well team firstshowreview have one more addition in this dialogue….what ever he said is true...Vijay is not against GST, he is trying to convey how other countries use that money to help needy poor peoples. So BJP , just goto CANADA as well , they implemented GST in 2008 and citizens pay 5% tax and they are getting FREE Medical services, FREE education and lot more…. Bottom line we stand up for the #Creativity #humanRights #Right_to_Express…. Never with the bloody political parties.